August 25, 2016 – Chicago, IL – Efficiency is a key in the day to day operations of a Public Safety agency, so when this fire department was spending far too much time scheduling personnel and decoding their messy paper calendar, Fire Chief Jeff Pilz sought a better method. Since implementing Aladtec, Hillside Fire Department saves time in their yearly bid process, easily manages overtime requests and can quickly generate accurate reports. In addition, they have moved all their paper forms online in their system. Staff members appreciate the easy accessibility of the department forms they need to fill out and 24/7 access to their schedule. They no longer have to call the station to see when they work, find out if there’s an open shift or see if they can make a trade. It’s all automated now within Aladtec. 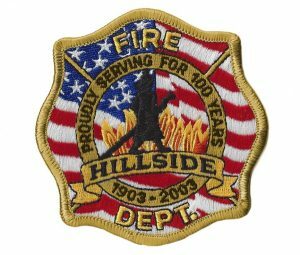 About Hillside Fire Department: Located in Cook County Illinois, the department serves the village of Hillside and a small portion of unincorporated Cook County. The station is staffed around the clock with three different shifts working 24 hours on and 48 hours off. The Fire Department also provides Advanced Life Support. About Aladtec: They proudly provide online employee scheduling and workforce management software to over 1,700 organizations, primarily within the Public Safety Sector. These customers count on Aladtec every day to help them save time and improve efficiency. For information about their affordable industry specific options, or to try a free demo, please visit www.aladtec.com.